360 view 360 view – click and drag the mouse over the image to rotate. 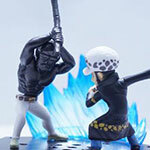 360度ビュー – 画像の上でマウスをドラッグすると回転します。 Chopper Cotton Candy – J-World – 360 view This is a limited edition figure from J-World, Shonen Jump’s indoor themepark in Ikebukuro’s Sunshine City, Tokyo when it opened in 2013. 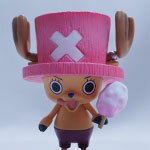 Figuarts ZERO Tony Tony Chopper – Cotton Candy lover version -. 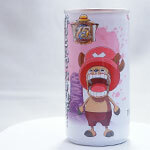 Just like the Wanted poster, Chopper is holding Cotton Candy! Chopper is so cute! Height: about 70mm. The figure includes an original base with the J-World logo. Sold from July 11th, 2013. 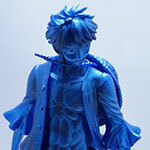 J-WORLD TOKYO限定　フィギュアーツZERO トニートニー・チョッパーわたあめ大好きVer. 東京・池袋サンシャインシティに2013年オープンした週刊少年ジャンプのテーマパーク、J-Worldでしか買えない限定フィギュア。 手配書イメージで、わたあめを持ったポーズ。とにかくチョッパーは可愛い！ 全高：約70mm J-WORLDのロゴが入ったオリジナル台座が付属します。 発売日：2013年07月11日 Looking for One Piece Chopper figures? 360 view 360 view – click and drag the mouse over the image to rotate. 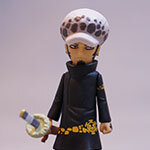 360度ビュー – 画像の上でマウスをドラッグすると回転します。 Thousand Sunny – One Piece DX Grandline Ships – Vol. 1 A very detailed Thousand Sunny sold in July 2012. 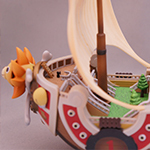 The Lion figurehead at the front of the ship is very cute! There were lots of small stickers used in the figures, sticking them took a lot of time. Spin the image around for the 360 degree view. Manufacturer: BANPRESTO Height: 22.5cm Width: 19.5cm DXフィギュア　The Grand Line Ships – Vol. 1　サウザンド・サニー号 クオリティ高い、とても細かい千の海を越える船サウザンド・サニー号。2012年7月発売。 細かいシールがたくさんあるので、かなり時間をかけた。 船首のサニーはかわいい！ 360度で回してください！ 高さ：22.5cm 幅：19.5cm Looking for The Grandline Ships – Vol. 1 – Thousand Sunny? 360 view 360 view – click and drag the mouse over the image to rotate. 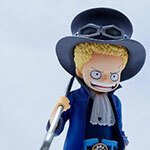 360度ビュー – 画像の上でマウスをドラッグすると回転します。 Sabo Grand Line Children Sabo Grand Line Children from the One Piece DX figures. The Sabo that appeared in Dressrosa was very cool, however younger Sabo is cute! The figure is very realistic, reproducing in detail the quality, folds and gradient of the clothing, and the creases in the Goggle band. The hat is also removable, and the head is movable. Size: Height – 15cm, Width – 5.5cm ワンピース DXフィギュア〜THE GRANDLINE CHILDREN〜vol.1サボ ワンピース DXフィギュア〜THE GRANDLINE CHILDREN〜vol.1サボのフィギュアです。 ドレスローザに現れたサボがカッコ良かったけど、子供のころのサボ君はやっぱりカワイイね！ フィギュアのクオリティはかなり高い。服の高級感、シワとグラデーション、ゴーグルのシワまで見事に再現。 サボの帽子を取り外すことも可能、首も動きます！ サイズ：高さ約15cm、幅約5.5cm Looking for Sabo Grandline Children?